First of all, wide endless strands are formed for a variety of end products using extrusion and/or other types of shape forming (e.g. with rollers). Fat masses, soft and hard-boiled sugar masses, aerated fat and sugar masses and various mixtures with nuts, fruit and grains are processed. and temperature resistance are required too. 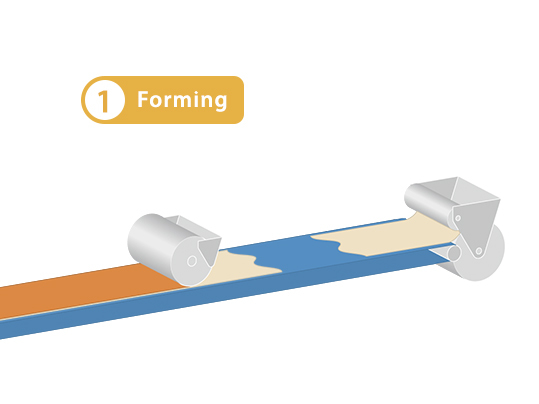 During rolling processes, the entire belt has to be able to withstand the pressure and kneading action from the rollers. Forbo Movement Systems offers various EU and FDA compliant HACCP belts with top standards of hygiene for the shape forming sections. They are resistant to oil, lecithin, grease and temperature and easy to clean. concerned. 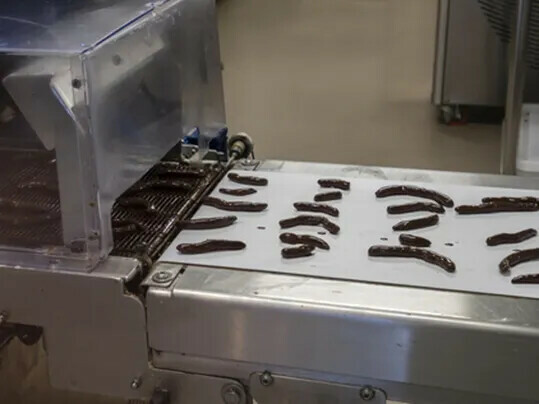 Belt edge sealing (Smartseal) can be applied to many types when particularly hygiene-critical products are used. 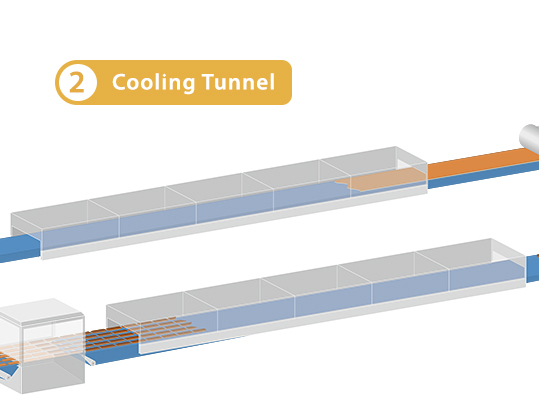 Initial temperatures in the cooling tunnel depend on what temperature the relevant mass is being processed at and can be up to 160 °C. The mass cools down to the ideal processing temperature on the moving belt. 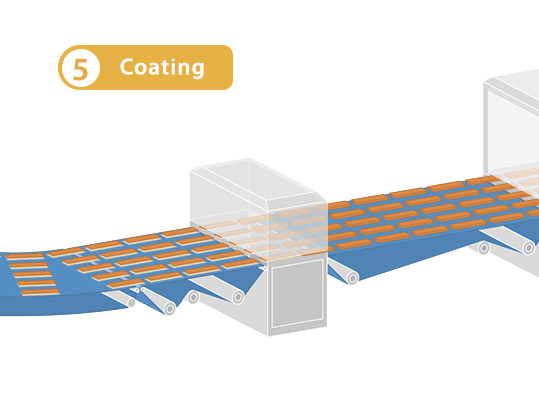 Different types of cooling are used based on the process (convection and plate cooling) or a combination of the two. to being suitable for food, good grip and release properties as well as small return radii are a must. 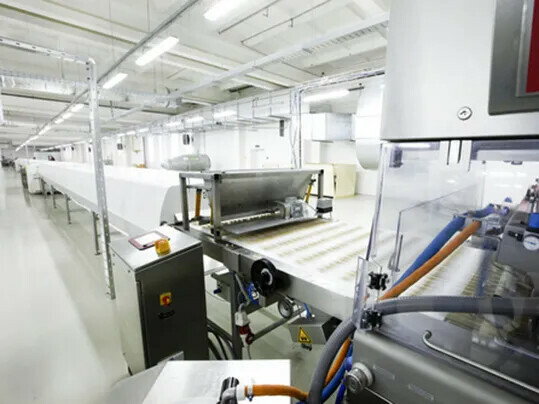 Forbo Movement Systems offers a range of different HACCP belts for the cooling tunnel that combine the benefits of superior hygiene (EU/FDA), flatness and temperature and dimensional stability with one another. They are easy to clean and offer excellent release properties. Because they are suitable for knife edges, products are transferred over a tiny gap between transfer points. embossed belt surfaces (customized solutions). Belt edge sealing (Smartseal) can be applied to many types when particularly hygiene-critical products are used. 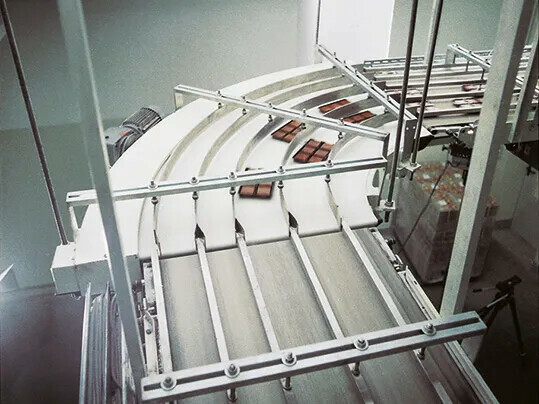 Once solidified, the mass is cut into shapes that can be either packaged directly or coated in subsequent steps in the process. During production, the mass is usually cut lengthwise and then crosswise. In addition to suitability for food, a high level of incision resistance and positioning accuracy are required. The cut edges must look perfect, not just in material of one type but also in mixtures. release properties. 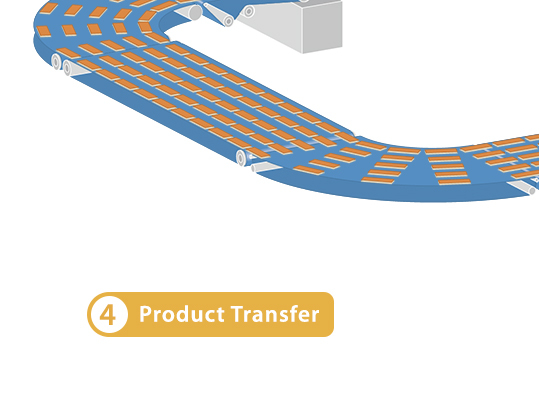 Because they are suitable for knife edges, products are transferred over a tiny gap between transfer points. confectionery cleanly. Belt edge sealing (Smartseal) can be applied to many types when particularly hygiene-critical products are used. 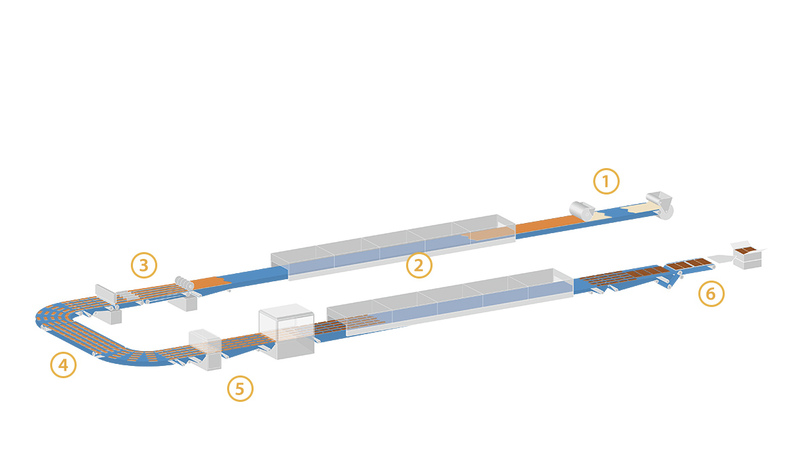 Between each of the processing stations, the material flow often shifts direction and changes in the conveying level occur. This is nothing to do with engineering necessity. There’s often not enough space in production facilities to implement the theoretically easiest of layouts. products are conveyed. Numerous transfer points require tiny return radii (knife edges). Furthermore, curved belts must be suitable for belt guidance systems and their shapes especially accurate. 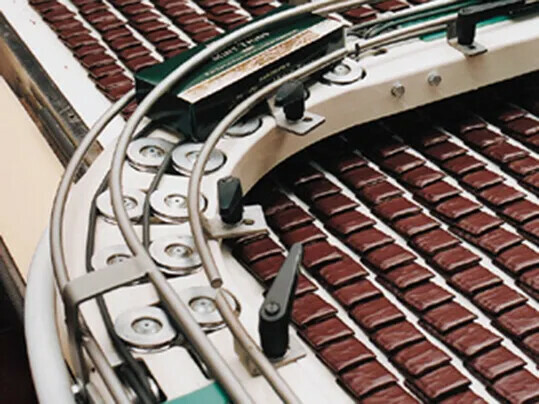 Forbo Movement Systems has a large number of suitable belts in its portfolio tailored to the conveying job concerned. 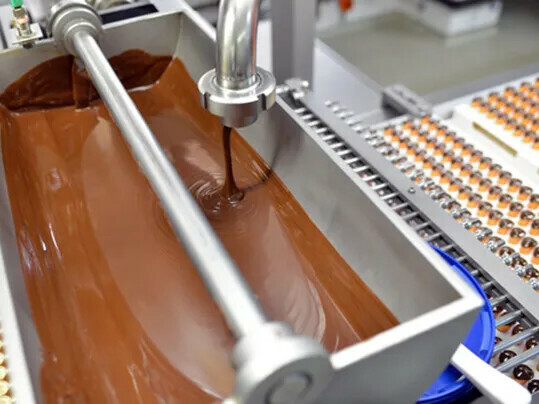 They offer both the properties required for conveying foodstuffs and the technical requirements of knife edges and curves. As well as offering a high standard of hygiene, our HACCP belts come with various coating materials and patterns in the interests of superior grip and release properties. They are easy to clean and EU and FDA compliant. With enhanced fabric and belt designs, they’re the top choice for knife edges and/or as curved belts. 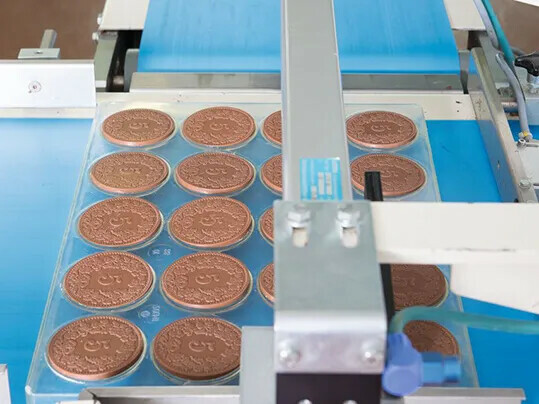 Sealing (Smartseal) can be applied to belt edges if especially hygiene-critical products are conveyed. Once the mass has been cut lengthwise or crosswise, the shapes can be coated once or several times. 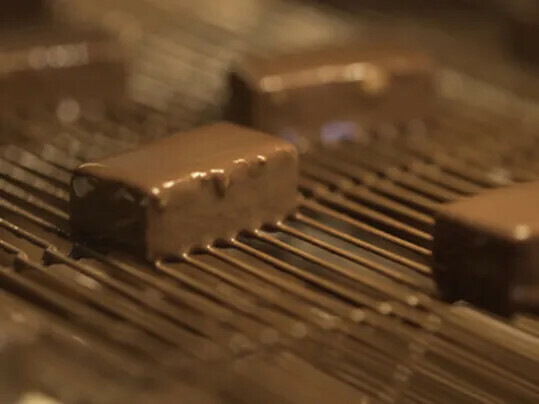 The products normally run through a sheet of melted coating and then might be sprinkled with other items and/or coated again. The belts have to have an extremely large open area and be able to withstand places where temperatures are high. 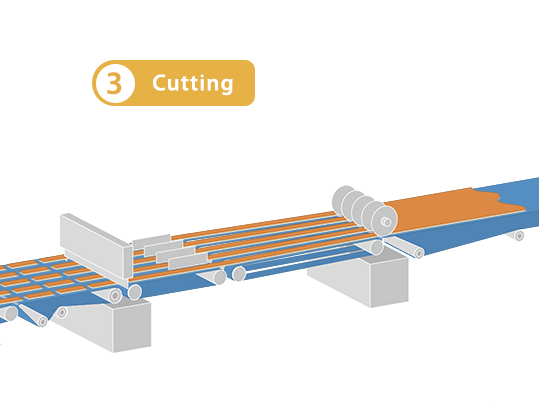 Metal mesh belts, not supplied by Forbo Movement Systems, are used to coat the cut products. This steps involves several very different sub-processes. 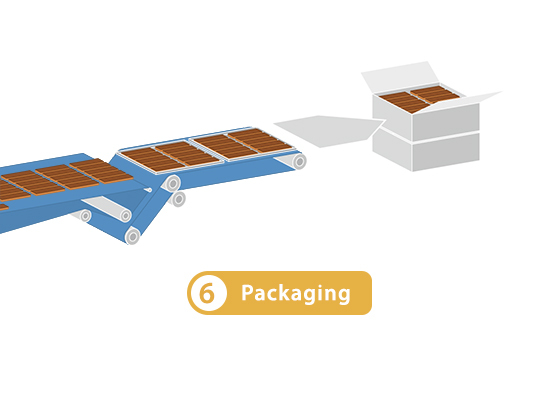 Specific technologies are used to separate and cover items in foil, package them in boxes and transfer them to pallets. The technical requirements depend on the actual process or type of conveying, in other words parameters specific to the conveyor (i.e. a high level of elasticity, light permeability and superior tensile strength etc.). Forbo Movement Systems can supply both fabric-based types (Siegling Transtex, Siegling Transilon, Siegling Extremultus) as well as plastic modular belts (Siegling Prolink), timing belts (Siegling Proposition) and round belts (Siegling Transilon) for each of the sub-processes. 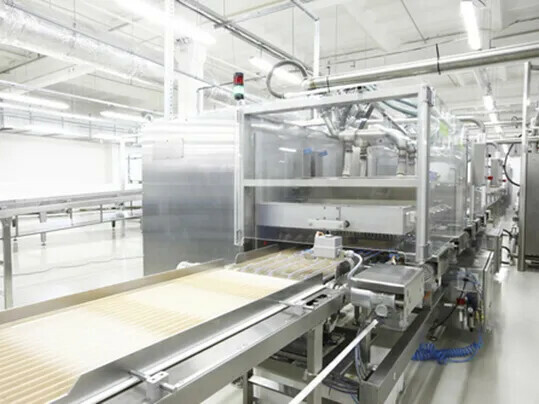 This portfolio has products for any type of packaging machinery. As a result, you’ll be able to exploit your quality and productivity potential to the full. 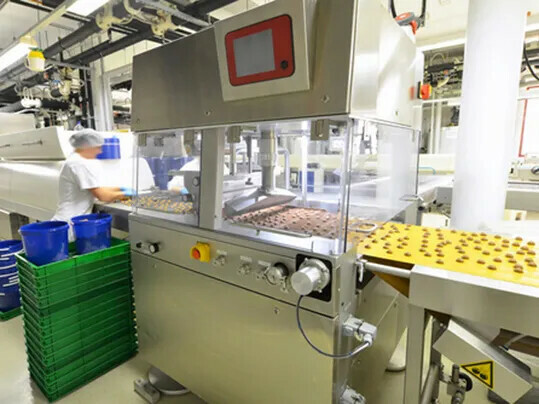 that image-based robot systems (Pick&Place) and temperature-resistant belts that shrink tunnels can be used. FDA and EU compliant folder gluer belts are used in folder gluers.